Prestine Reefs! | Dive 24/7! | Sells Fast! Plan ahead for your visit to this enduring iconic Indonesian dive resort in Southeast Sulawesi, Indonesia.. SAVE OVER $1000! Yes OVER $1000 CURRENT RATES…. Never Again!! WAKATOBI! Primo Eco-Resort The house reef is 5+Star. Enter from the jetty or take a resort water taxi. 10 days of presitine diving in the well maintained reefs full of all those critters we hear about that live in the “epi-center of biodiversity”… Wakatobi: An envionmental responsible reef management dream that has worked extremely well. A must visit, more than once! Visit : www.wakatobi.com for more exciting details . Book ASAP. 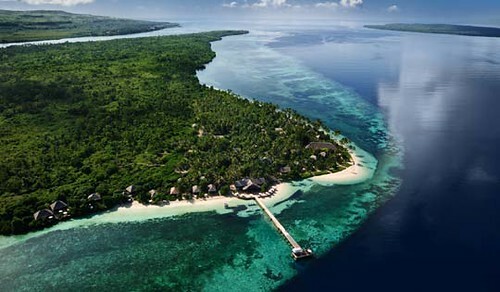 6 SPOTS AT MY 2009 PRICING HAVE JUST RE-OPENED FOR THIS SEPTEMBER.and I’ll still pick up half the airfare to Wakatobi! This is good on 6 spots only.. ACT NOW !! NEVER AGAIN AT OVER $1,000 SAVINGS WILL WAKATOBI BE AVAILABLE TO US! Packages Include: VIP Arrival Service pre-immigration in Bali airport; Full NO CHARGE luggage allowance on flight to resort; VIP departure lounge including snacks; Accommodation in Garden, Beach, Select or Villa; Delicious and varied meals (breakfast, lunch and dinner); 24hrs coffee / tea / hot chocolate / drinking water; Daily turndown service; Warm towels, hot drinks / water and snacks on boat dives; Complimentary 20mb in-room Internet access; Aromatherapy bath products in all rooms; Three 70 minutes boat dives daily AND unlimited shore diving; Dive and photo gear porter service on boats and shore dives; Village visit followed by BBQ feast in resort on last day and contributing to our award-winning colabrative conservation programs. Not included: International Flights to Denpasar, Bali (DPS) Estimates only: $1000-$1500; Bar and Boutique bill, personal items and crew gratuity. pre-post days in Bali :min 2 days advised. AND add-on longer tour/diving of Bali, with connecting arragnements to other parts of Indonesia : Kasawari (Lembeh Straits); Maluku Divers (Ambon); a luxury liveaboard 12 days to Komodo on the Damai. Any or all can be arranged during our September2013 Immersion Indonesia or for your 2013, 2014 or future dive holidays. This entry was posted in Past Trips and tagged diving, indonesia, reefs, scuba, vacation, wakatobi. Bookmark the permalink.